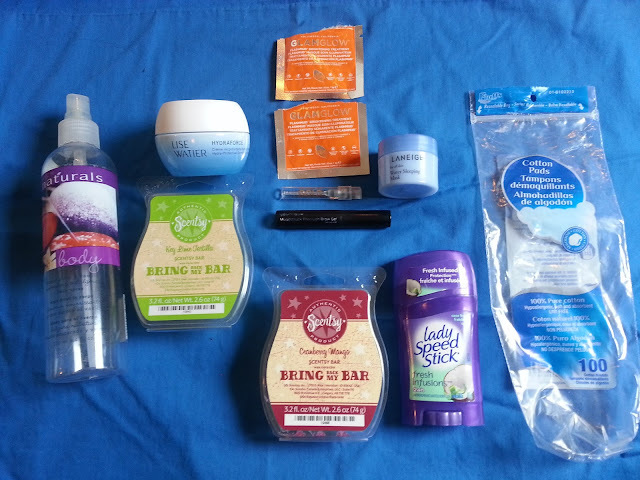 Deidre's Discoveries: August 2016 - Empties! I feel like I say this every time I write an empties post, but I can't believe August has come and gone! The CNE is here in Toronto, which means the summer is pretty much over! Next weekend will be our labour day long weekend, and then the kiddies go back to school, everyone goes back to work, and we're back wishing it were summer again. I'm actually looking forward to the Fall. I love the weather, the colours. Fall is where it's at! Anyway, let's take a look at what I finished up for August. It wasn't much, and I've made better progress in previous months, but its something, right!? Mostly "skincare" again... I seem to get through that the quickest. I'm really working on the makeup, but it's so hard! Haha! I don't know what brand this is, I'm assuming it's fluffs. Anyway, I picked this up at Dollarama, so it was only $1 or $1.25 at the most. They aren't the greatest quality of cotton pads I've ever used, but they were cheap and I needed them at the time. I picked up two packs of these. 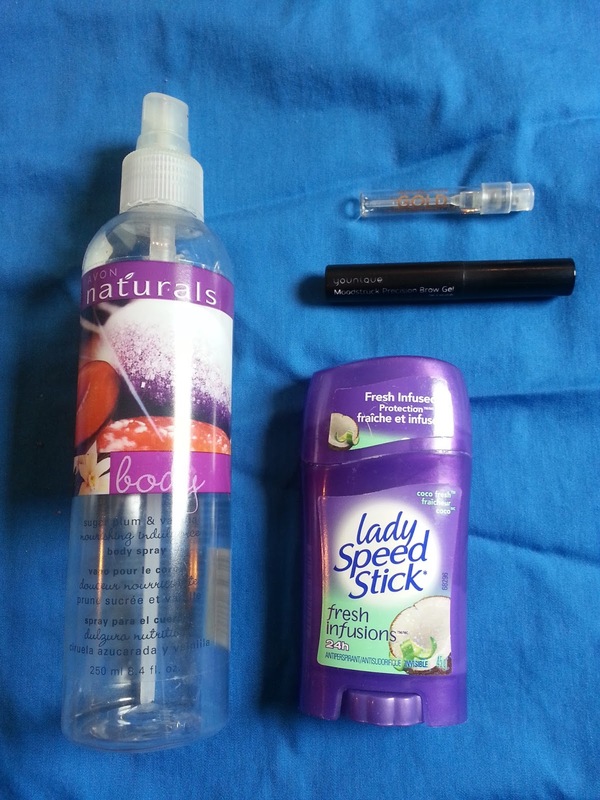 I prefer the walmart or Shoppers Drug Mart brands more, but these worked well enough. I received this from Glam Sense/Topbox in the beginning of the year. It came with a neat little device that measured the hydration levels in your skin. You can see my full review here. I was a huge fan of it when I first received it. However over time, and switching between products, then sticking to this, I wouldn't say I would repurchase it. Yes, it helped with the hydration levels but I didn't find it to be creamy enough for my skin. It had a somewhat gel texture, and it always would ball up if I tried to wear it under my makeup. I ended up using this as a step in my night time routine. Laneige is a popular Korean skin care company. Sephora has recently started to carry their products online (probably in store too, I haven't been in awhile to look) and I have heard great things about their line. This sleeping mask was just a sample size, but it lasted me quite awhile. It's a gel formula, but not too thick. You use this as the last step in your night time skin routine. Over top of your night cream. 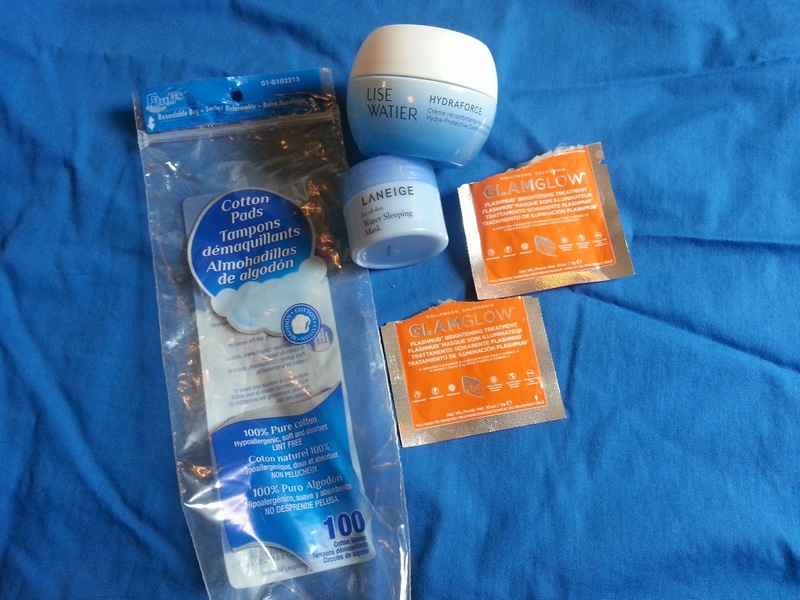 It keeps everything locked in so your skin can rehydrate over night. While I love sleep packs/masks, I didn't find this to be amazing for me. Yes, it kept my skin hydrated, but it was super sticky while sleeping. And I prefer a thicker/creamier mask. However, I didn't experience any bad side effects from using it, so I wouldn't completely say no. If I needed a new sleep mask and it was on sale, then I wouldn't mind using it again. I love GlamGlow products. What I don't love is the price tag. I got these samples a while while back, and I finally pulled them out to give them a try. This specific mud mask is supposed to brighten your skin, and even your skin tone. I didn't exactly follow their directions because I didn't use it for the three days in a row, but I did see some minor results when I did use it. My skin felt smooth and exfoliated, and it did somewhat brighten my skin. I could see longer usage giving some better results. I was afraid using it too often would dry out my skin. I would consider repurchasing this, but it's just so expensive at $79 Canadian dollars! I don't know how old this is, but I picked it up in a second hand store for $1 a few years ago. There wasn't much left in the bottle when I remembered I had it so I decided to finish it up. It smelled sweet, and I liked it. Although I wouldn't repurchase it because I just have so much perfume, and body sprays generally don't seem to last on the skin very long. I liked the scent of this, and this is my usual go to brand, but I found recently I'm just not enjoying it as much as I used to. I have one more stick to get through, and I have already purchased a different brand to try after wards. This stuff has lasted me forever. Probably a year. I had never tried any brow products really before so I decided a gel was probably the best way to start. I liked this. I don't know how it stacks up to other brand brow gels, but it worked for me. It's a little pricey at $23 Canadian, but I mostly purchased it to support a friend. I repurchased it but I think once the new one runs out, I will be trying something else. Maybe benefit? Any recommendations on a brow gel? Taken from Kohl's website: Fragrance Notes include pink pepper, waterlily, raspberry, michelia, tuberose, muguet, rose centifolia, peony, gardenia, creamy sandalwood, sensual musks and cashmere woods. This is a floral, spicy, scent. Not something I would typically wear, but I did like it. I probably wouldn't repurchase a full size though. 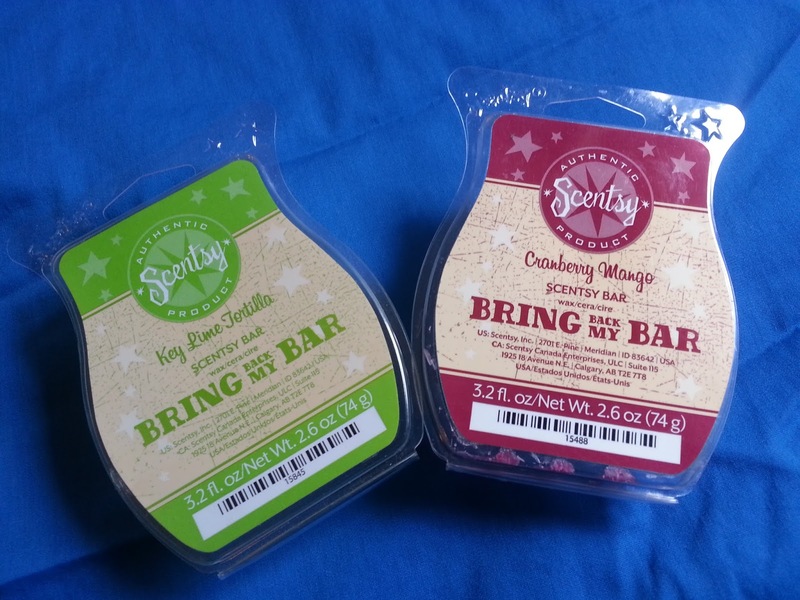 Both of these bars have been discontinued and were brought back during one of their bring back my bar events. Key Lime Tortilla - Lime and Kiwi combine for a South of the border sweet treat. Cranberry Mango - A melange of tropical mango, cozy cranberry and spicy pineapple. Between the two I preferred the cranberry mango, and picked one up during the most recent bring back my bar promotion. Key Lime Tortilla was just okay to me, but I don't think I would order that one again in the future, if it were to come back.